Boasting an abundance of Industrial Revolution-era milestones, numerous trendy bars, various eateries and an extensive network of canals, Birmingham is a happening city and a popular tourist spot. When you stay at one of our Birmingham Airport hotels, you’ll be welcomed by a buzzing, vibrant vibe, as well as a variety of educational hot spots. 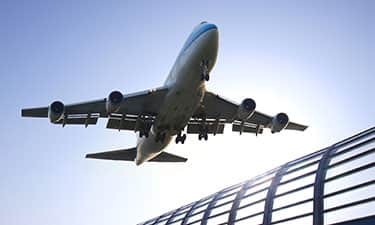 So, regardless of whether you’re looking to be near Birmingham Airport terminals or planning a family getaway, Birmingham has something to suit all, making it a popular destination for all ages. Book one of our Hotels near Birmingham Airport and explore all this stylish city has to offer. Cannon Hill Park is a must visit if you’re looking to embark on a relaxing getaway. Situated 11 minutes from our Birmingham Central Moor Street hotel, the park was originally a donation from Miss Louisa Ryland as a source of health and beneficial recreation. Other areas of interest include Elmdon Park, an equally tranquil nature reserve located just over seven miles from our Birmingham Central Bull Ring hotel. It’s here you’ll discover an idyllic walled garden, play area and tennis courts. The National Exhibition Centre (NEC), described as one of the UK’s most exciting venues is also nearby and boasts a busy calendar of events. Regardless of whether you stay for a few days or longer at our Birmingham Airport Hotels, you can guarantee you’ll never experience a dull moment when visiting this energetic city. The National Motorcycle Museum is a must-visit if you’re a fan of both wings and wheels. It’s here you’ll stumble upon a series of interpretive exhibitions telling the story of a fine collection of machines. Looking to catch a show? The Genting Arena could be just the ticket. This purpose-built establishment hosts comedy, sport, music and family events all year round.